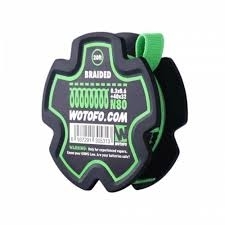 Wotofo Braided Wire is designed for experienced vapers. It is able to be configured to the most complex coil builds, perfect for delivering massive vapour production without sacrificing the flavour. 20ft/spool.